President Rodrigo Duterte has chosen Teodoro "Boy" Locsin to replace Alan Peter Cayetano, who is expected to leave his post as Foreign Affairs Secretary. Cayetano is expected to run for Congressman of Taguig City. Duterte made the announcement during a press conference held upon his arrival from Indonesia to attend the ASEAN Leaders' Gathering. Locsin said, in his Twitter account, "I was asked I said yes; but love UN, the may friends & intellectual companions I made. But I didn't say no when asked as I didn't when he told me I was UN ambassador. If my Tito Chito Ayala trusted him implicitly; how can I not. Still UN work is like sharpening a blade everyday." The original policy was adopted by President Duterte and was pursued actively during the term of former DFA Secretary Alan Peter Cayetano. “It is a refinement of the earlier one which stood us in good stead: “Friends to all, enemies to none.” But we are moving on to a refinement which addresses changing realities. It is now “friends to friends, enemies to enemies, and worse enemies to false friends,” Locsin told foreign diplomats led by Papal Nuncio Archbishop Gabriele Caccia. Locsin maintained the refined policy remains within the President’s all-out efforts to advance Philippine interests in the global arena and protection of overseas Filipino workers in various parts of the world. 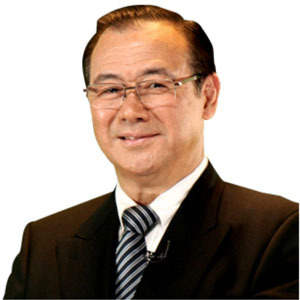 “I am not here to reinvent the wheel, just to grease it and steer it away from potholes and ravines,” said Locsin.